No one wants to look at a dumpster, especially restaurant patrons arriving at your establishment. 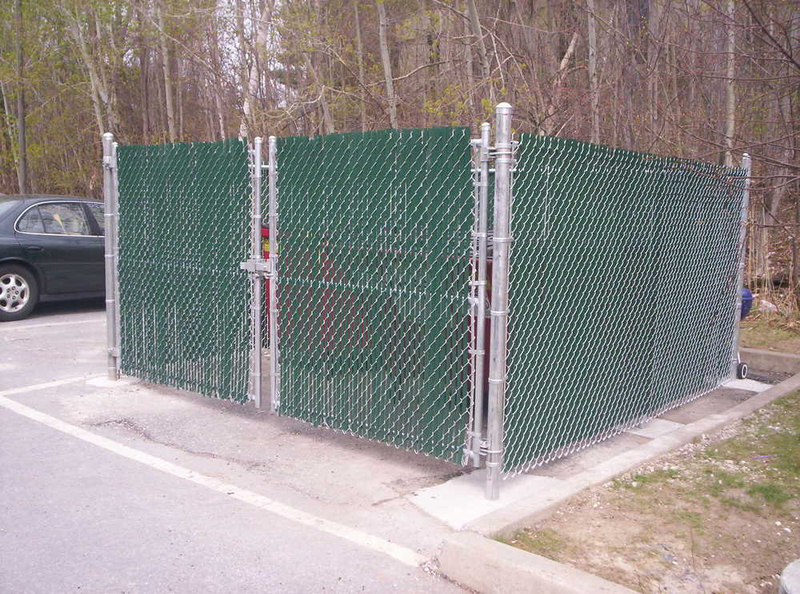 Let us help you maintain their healthy appetites by building you a dumpster enclosure to hide the necessary eyesore. We can also make it lockable to provide extra security against dumpster divers. Dumpster enclosure with green privacy slats, South Burlington, VT.